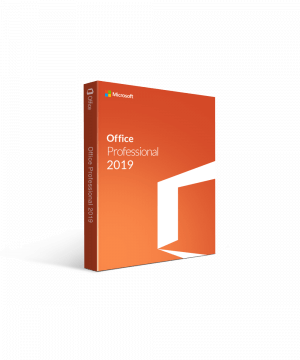 Why Buy Microsoft Office 2019 Professional? 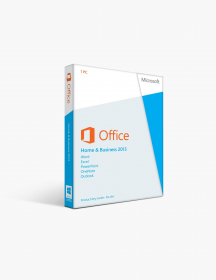 Install and sync Microsoft Office Professional in multiple devices and platforms. Aside from the PC, Microsoft Office Professional is also compatible with Macs and even mobile devices such as iPhones, iPads, and Android devices. Enjoy beautifully designed templates across the suite for documents, spreadsheets, and even slideshow presentations. Navigate each program with ease as the Microsoft environment becomes second nature. The intuitive user interface of each Microsoft application makes them easy to use. Microsoft makes it easy to share documents and other files to colleagues and workmates, fostering a collaborative environment in the workplace. Have access to Microsoft’s customer help service 24/7. No matter what time it is or wherever you are in the world, Microsoft’s technical representatives will help you with any problem or inquiry you may have. Microsoft Office Professional includes 60 days of free support from Microsoft. 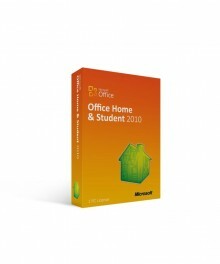 Microsoft Office remains the gold standard for office applications throughout the world. 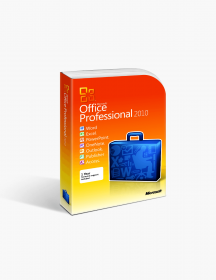 Within their wide selection of client software for the PC, Office Professional is Microsoft’s edition for the working professional - all the state of the art software they would need for a successful business has been wrapped up in one digital package. This suite of applications is complete with everything one needs for maximum productivity: a word processor, a spreadsheet, a presentation program, a collaboration platform, an information manager, a publishing application, and even a database management system. 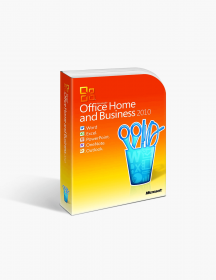 Microsoft Office Professional provides all the necessary tools of an office suite, with greater capability, productivity, convenience and visual appeal compared to any alternatives. In a nutshell, Office 2019 is more visually engaging, both for the user as well as for the reader of any documents created by the system. But visuals are not where the upgrades end and indeed many big and small improvements have been made across the board. SVG (Scalable Vector Graphics) shapes and fully rotatable 3D objects can now be added to any documents, worksheets and presentations. SVG shapes stay sharp no matter how much you zoom them. There is never before seen support for freehand drawing and doodling in Office 2019, whether it be by touch, a stylus, or even mouse. It comes with new inking features, such as tracking of the tilt and pressure you apply when using a stylus or touch. The roaming pencil case lets you use your selection of favorite virtual writing objects on all platforms. Ink objects can now be converted to equations and shapes, and pens can now even have special effects such as metal textures. The new Accessibility Checker automatically checks your documents for accessibility issues in an international standard compliant manner and is capable of fixing them in one click. The Office Sound feature plays sound cues that indicate various actions and events on the screen. Working with foreign languages has become more convenient with the new Microsoft Translator. Included in the suite is one of the most popular word processors ever developed, MS Word. Create professional and aesthetically pleasing documents and reports with Word’s user-friendly and intuitive interface. Word 2019 has many added features that make it a joy to work with and collaborate on your documents. Process numerical data easily with Microsoft Excel. This spreadsheet comes with all the functions and calculations needed to analyze data. Excel can also turn hundreds of lines of data into beautiful graphs and figures for quick data visualization. Excel 2019 has new functions and some new ways of displaying data, such as Map charts. Create and share beautiful slideshow presentations with Microsoft PowerPoint. Easy to use with an environment easy to navigate, create visually stunning presentations with artist-designed slide transitions and animations. PowerPoint 2019 has taken things to a cinematic level with Morph, Zoom, and support for 3D objects and videos. Microsoft OneNote is Microsoft’s own free-form information gathering platform. Essentially a note-taking application, Microsoft elevates this application to become a multi-user collaborative platform by allowing notes and information to be shared across permitted multiple users. A personal information manager (PIM) everyone needs, Microsoft Outlook is a hub for all your necessary information such as email, calendar, task manager, contact manager, and so on. All your necessary and personal information in one convenient and secure location. Outlook can also be used to leverage the power of Microsoft Exchange for advanced PIM functions such as group calendaring. Microsoft Publisher is a basic publishing application that provides access to tools for layout editing and design. Create stunning posters, brochures, programs, pamphlets, and other written works with ease using Microsoft Publisher and its huge selection of included templates. Every business needs a database and every database needs to be managed - this is where Access comes in. Microsoft Access is an intuitive database management system with a database engine and a graphics user interface. Even regular users can use Access to create simple databases such as inventories, surveys, etc. Professionals can use its advanced features to take those databases even further.